Nearly 100 lawyers in Ontario and the U.S. have notified us that they’ve been contacted by the purported Rina (or Tina) Walton (or Waltson) with regards to a to a collaborative family law agreement dispute. This is a fraud we have seen before under several other names and similar scenarios. For examples of other names attached to this kind of fraud see our Confirmed Fraud Page. For an explanation of how this fraud works see our Fraud Fact Sheet. the court’s decree with regards to payment of property settlement. Thank you for your prompt response. 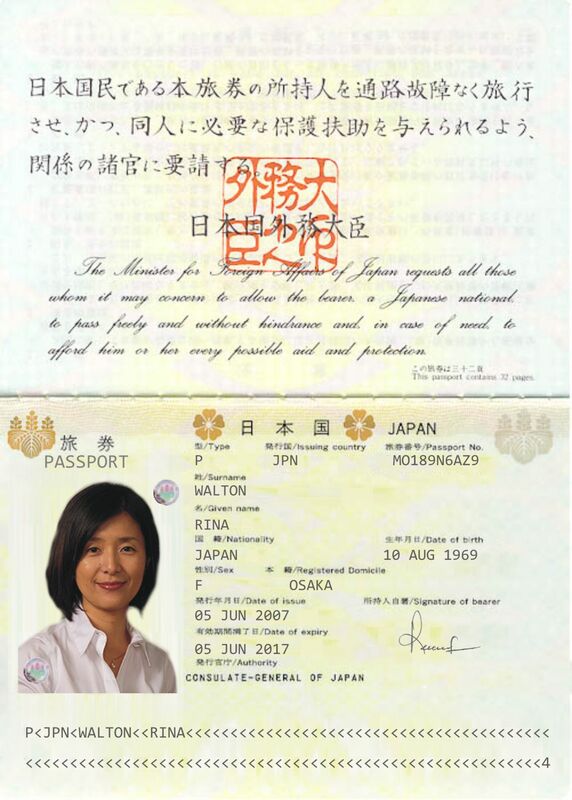 Am living in Japan and Tomio [sometimes Romio] Walton (ex-husband) lives in Orlando, Florida. Due to the time difference (+13hrs EST) it is a little bit difficult to determine the best time to call you. Following our divorce, we agreed under a negotiated settlement agreement which is incorporated, merged into and made part of the court decree for a one-time payment of $557,000.00USD for Family support (this includes child support, alimony and medical support). To his credit, he has paid me $208,000.00USD from a total of $557,000.00 but still owing $349.000.00USD and the due time for completion of payment is over. Thus, I request your legal counsel and representation to enforce the final judgment thereby compelling him to remit the balance owed me. He is aware of my intention to seek legal actions. Attached is a copy of the separation agreement, and Final Judgment and I will be pleased to provide further information on this case on request. I desire to retain your law firm, please forward your firm’s retainer fee agreement so that we can proceed. Thank you and have a pleasant day. Got the email today in East TN, but a different name. Ms. Kazumi from Japan wants to recover from her exhusband, Mr.Ellison. The kids were Anthony, Freda, and Felix…not common Japanese names and the attached “Japanese” court decree was in English. It will help you ask appropriate questions of your client to determine if the matter is legitimate or not. If the matter you are acting on turns out to be a fraud and there is a potential claim, then they will work with you to prevent the fraud and minimize potential claims costs.